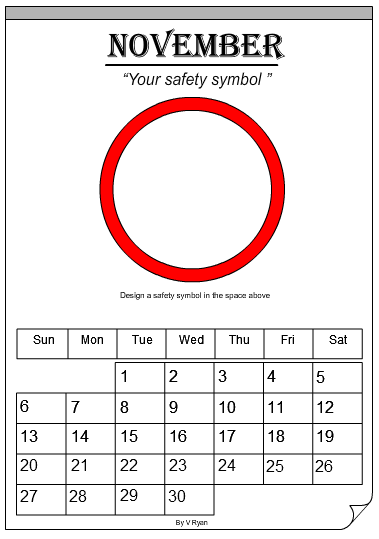 Below is a sample month form a safety calendar. Remember, the safety calendar should encourage children/pupils/students to work safely in the workshop. It should include an exercise for younger pupils to complete. (ZOOM into the picture by clicking the right hand side of the mouse and making the correct selection on the menu - this will allow you to read the information more easily and to see the detail).